Written by eleven leading anthropologists from around the world, this volume extends the insights of Fredrik Barth, one of the most important anthropologists of the twentieth century, to push even further at the frontiers of anthropology and honor his memory. 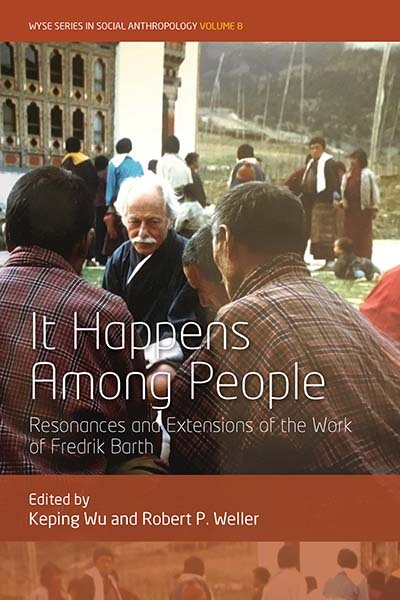 As a collection, the chapters thus expand Barth’s pioneering work on values, further develop his insights on human agency and its potential creativity, as well as continuing to develop the relevance for his work as a way of thinking about and beyond the state. The work is grounded on his insistence that theory should grow only from observed life. Keping Wu is Associate Professor at the Department of China Studies in Xi’an Jiaotong-Liverpool University. Trained as an anthropologist, she had previous teaching and research positions at Sun Yat-sen University, National University of Singapore, and The Chinese University of Hong Kong. She has recently published Religion and Charity: The Social Life of Goodness in Chinese Societies, co-authored with Robert P. Weller and Julia Huang (Cambridge, 2018). Robert P. Weller is Professor of Anthropology at Boston University. Most of his work concentrates on Chinese societies in a comparative context, frequently with a focus on the problem of religious meaning and authority. His most recent book is How Things Count as the Same: Memory, Mimesis, and Metaphor, co-authored with Adam Seligman (Oxford, 2019). He is currently working on urbanization and religious change.